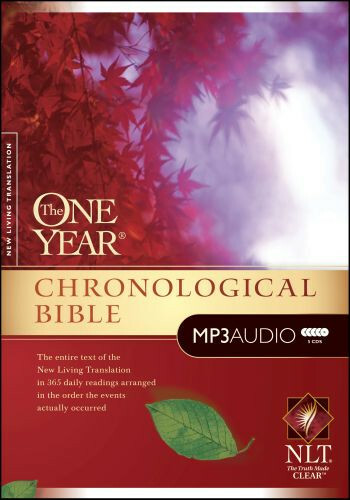 You can fit Bible reading into your already busy life by listening to the One Year Chronological Bible on MP3! In as little as 15 minutes a day, you can hear the entire Bible in one unforgettable year. This Bible audio is unique in that you can listen to the Bible text in the order that the biblical events unfolded. Includes five expertly narrated MP3 CDs, ready to load onto your MP3 player.